Sarpa Salpa release their new single Smith this week, with the track their first to be released on vinyl. The video for Smith is due out on Thursday, with the song available digitally on Friday. A limited red vinyl will be released on September 14. 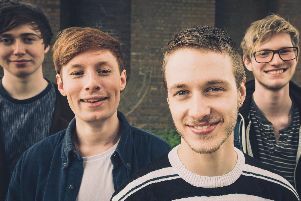 Their latest single follows a summer of shows at festivals across the UK, which included an inviation from BBC Introducing to play at The Big Festival on Alex James’ farm and at last weekend’s Rocked Up Hootenanny. Singer Marcus Marooth said: “The song is about a hindsight perspective of a failed relationship, the good times, the bad times and all in between.